Millan Place was built on the Brown family’s original homestead site dating to when Westheimer was an unpaved two lane road. Now, the location is a block from the Galleria and walking distance from everything urban. Mr. Brown would be amazed, and the Milan homeowners are very pleased with the result. 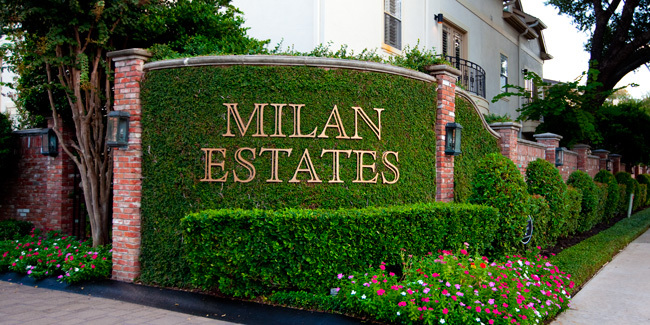 With half of the homes joined and the others as single family free standing, Milan is reminiscent of an Italian village, gated and bordered with live oak trees. The 40 homes are between 2,825 s.f. and 3,370 s.f. with values up to $625,000.